The days of typing out your favorite shrugging emoticon are almost gone. Emojipedia has info on the new emoji coming in iOS 10.2, which was included in a developer preview. 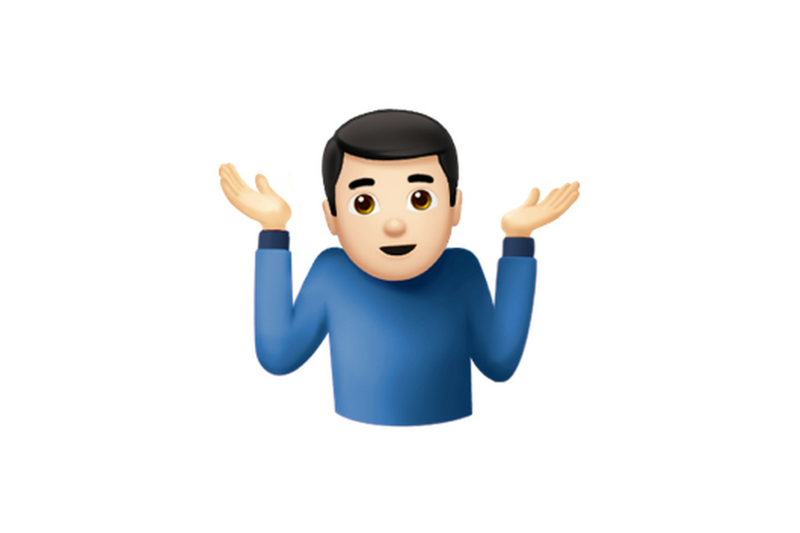 Although the shrugging emoji is but a single addition in a sea of 72, it’s clearly the most important one. The full list, which includes a black heart (much anticipated), gorilla (ugh), selfie (a true sign of the times), and “person doing cartwheel” (sure, I can find a use for that), was accepted back in June as part of Unicode Version 9.0. The update will also include an avocado emoji for those who want to celebrate this beloved fruit without being shamed for contributing to the California drought. No word yet on when this key update is hitting, but we look forward to further abandoning the written word. This Article has a component height of 4. The sidebar size is short.